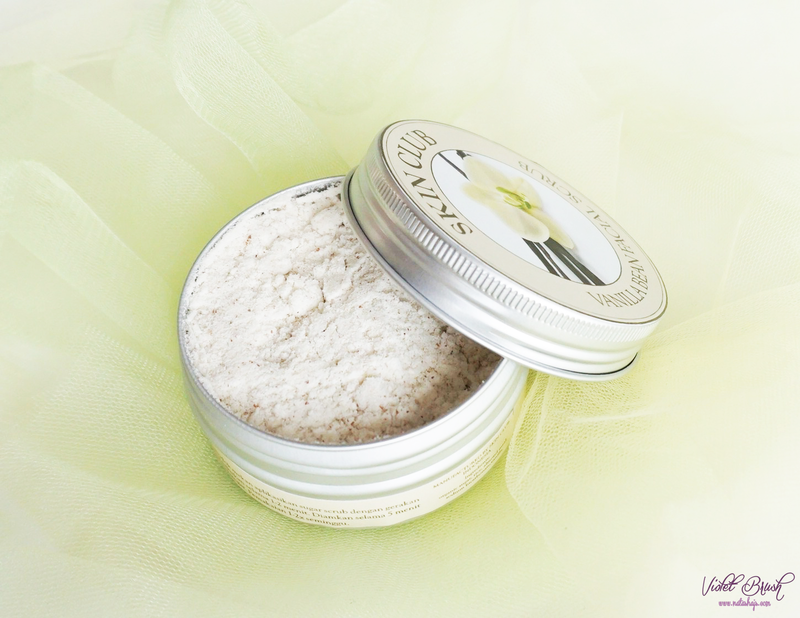 Vanilla Bean Scrub removes dead skin cells. Vanilla Bean is rich with antioxidants to prevent early aging. Protects skin from chemical processes and repairs the skin's texture. Softens the skin and keeps the skin smooth all day long. To use: take about a spoonful of the scrub and mix with a teaspoon of water. Apply onto the skin (face, neck, and lips) and massage softly for 1-2 minutes. Let it stay for 5 minutes before cleansing it with water. Honestly, I'm quite disappointed with the packaging. Yes, it's sturdy and light in weight but there's no separator thus I always have to be extra careful in opening the jar, afraid that it might spill. Also, it's quite hard to take the product out without any help of spoon or spatula. It would've been better if a little spoon is included, though. As I said at the beginning of the post, this Skin Club's Vanilla Bean Facial Scrub has vanilla scent. Have I ever mentioned that I love anything with sweet scent so much? Although I love the scent very much, those who doesn't like sweet scent might not like it. 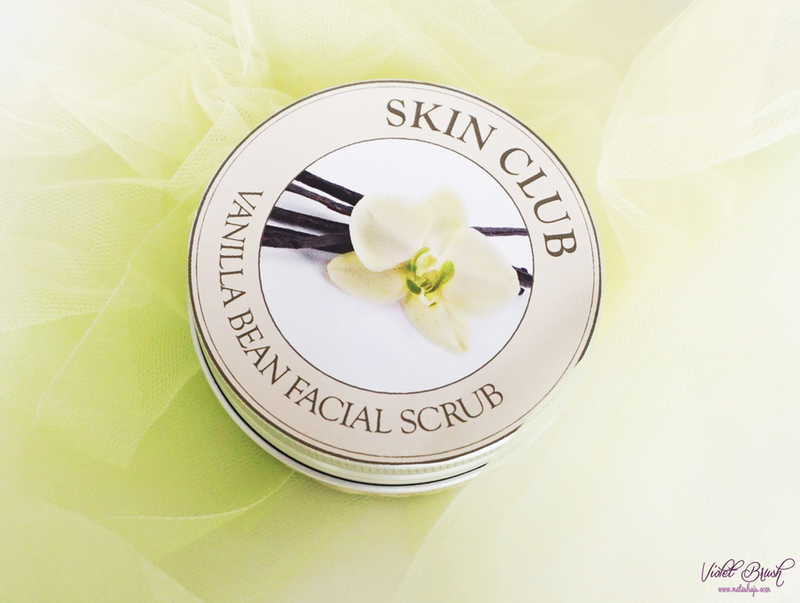 The texture of Skin Club's Vanilla Bean Facial Scrub is like a soft baby powder with rough scrub particles. You can control its consistency depending the amount of water you mix in. If you want more watery consistency, add a little bit more water but if you want it kinda thick, add just a little bit of water. Personally, I prefer the one with thick consistency. 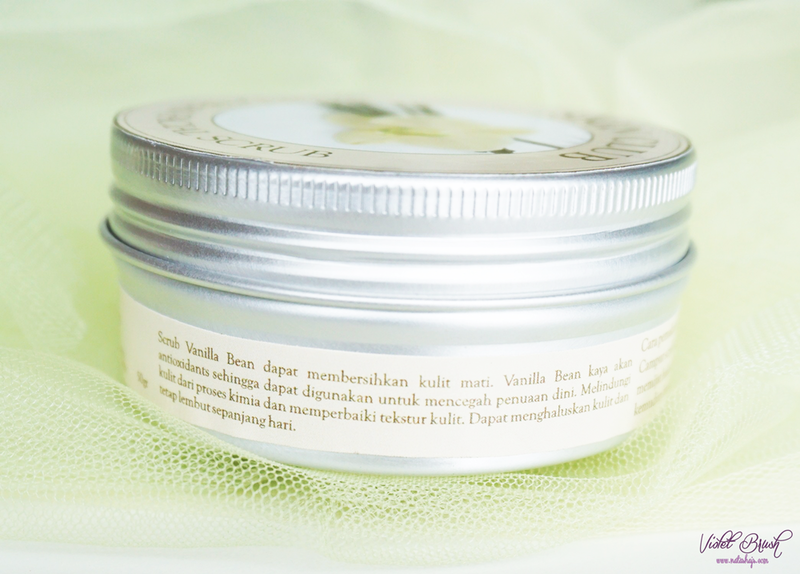 Beside doing its job in removing my lips' dead skin cells, Skin Club's Vanilla Bean Facial Scrub also brightened my lips. As you can see on the photo, my lips got pinker than before. I usually use this twice a weeks after removing my lip makeup and I really love the result it brought to my lips, hello brighter lips! 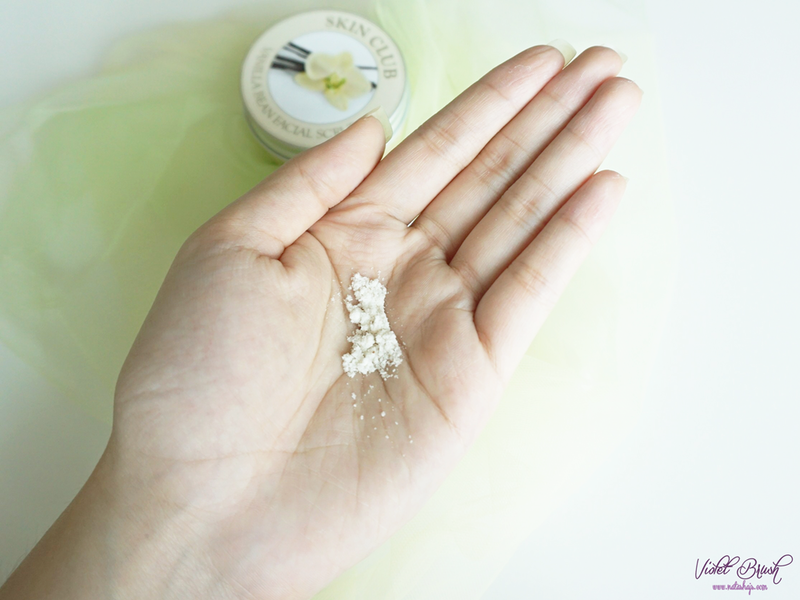 As how I've said on my posts repeatedly, one reason that I love exfoliating/scrubbing my skin is because the soft and smooth skin afterwards and so far, I love Skin Club's Vanilla Bean Facial Scrub the most. My skin literally feels very soft and smooth after usage. However, it somehow felt sticky on the skin during the five-minutes-wait, perhaps because of the sugar and vanilla bean inside. 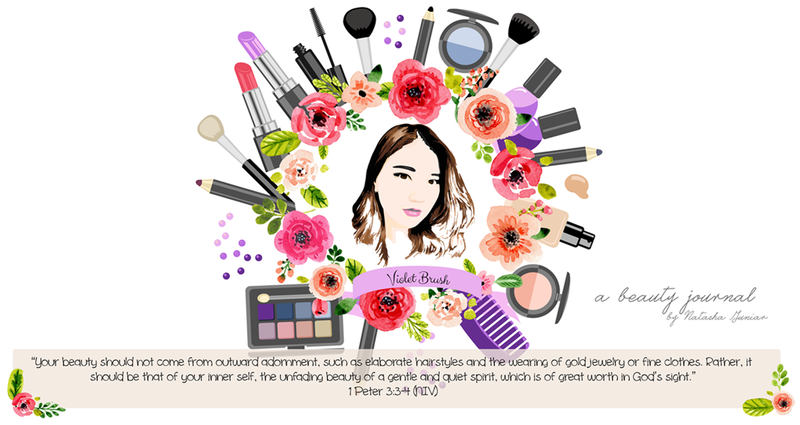 The result after using Skin Club's Vanilla Bean Facial Scrub for 3 weeks is less whiteheads on my forehead. However, it doesn't work on the whiteheads on my cheeks area and blackheads on my nose, strangely. The blackheads on my nose stay as it is, also the whiteheads on my cheeks doesn't go away. I would like to try other variants, though. Cc jg yg green tea enk bgt..
well, who doesn't right? sure!